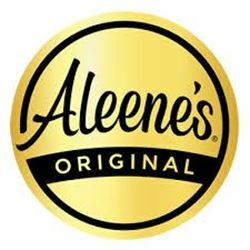 We don't know about you, but we are sooooo ready for fall here at Aleene's. One of our favorite things about fall is of course, everything pumpkin related! Pumpkin pie, pumpkin spice lattes, pumpkin patches, pumpkin decor ... you get the point. In order to celebrate the arrival of fall in just a few weeks, we came up with 3 pumpkin decor ideas made from 3 different materials - metal, cork and wood; all all of them will last the entire season and seasons to come! 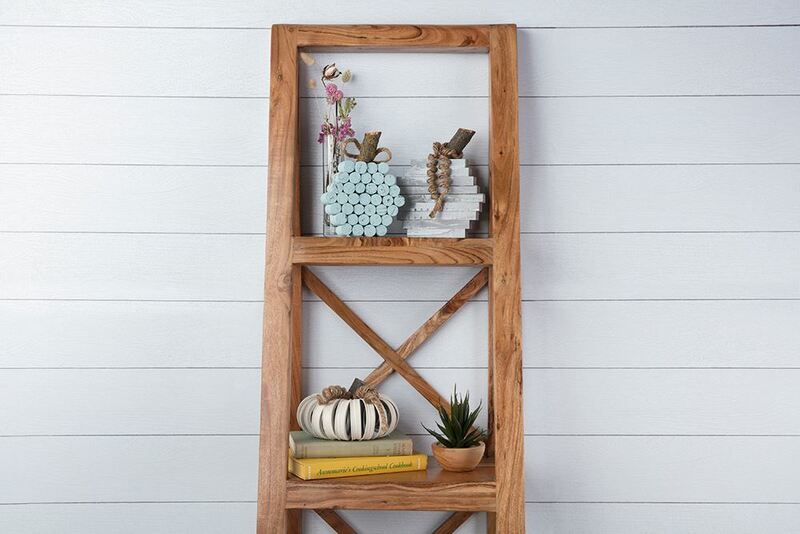 Read on to see how easy it is to create your own with Aleene's glues. Cut 9 pieces of wood to following sizes: (2) 4¼” pieces, (2) 5” pieces, (2) 5 7/8” pieces, (2) 6½” pieces and (1) 7” piece. Apply wood glue to the bottoms of all the pieces, except to one 4¼” piece (this will be the bottom of the pumpkin). Stack the pieces in this order 4¼”, 5”, 5 7/8”, 6½”, 7”, 6½”, 5 7/8”, 5”, 4¼”. Add clamps to each side to apply pressure while glue dries. Once the glue is dry remove the claps smooth out edges and paint to desired color. Finish the pumpkin by adding a small tree branch as a stem and twine to finish the look. Cut about 2 feet of twine and run it thru 21 open mouth Mason jar lids. Pull both of the string ends together to form the pumpkin and tie. Once you have the shape of the pumpkin add small amount of Turbo Tacky Glue to each overlapping lid. Let dry. 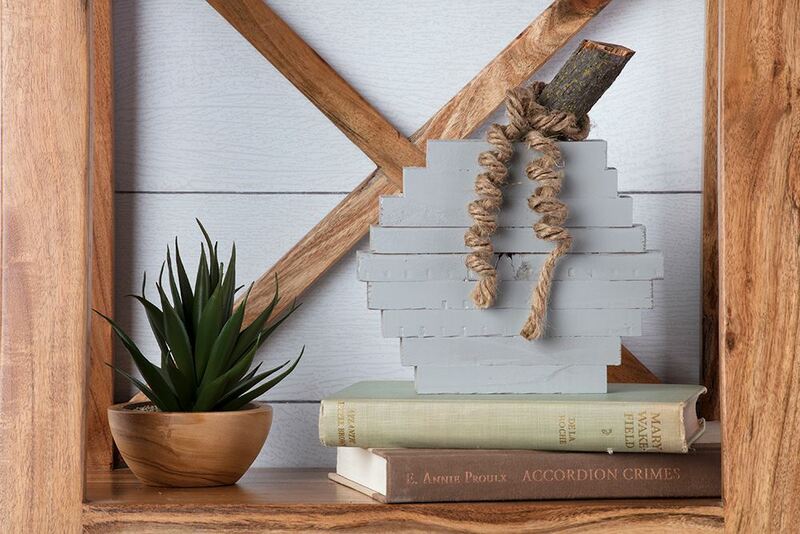 Cut off the twine and paint with desired color of paint. 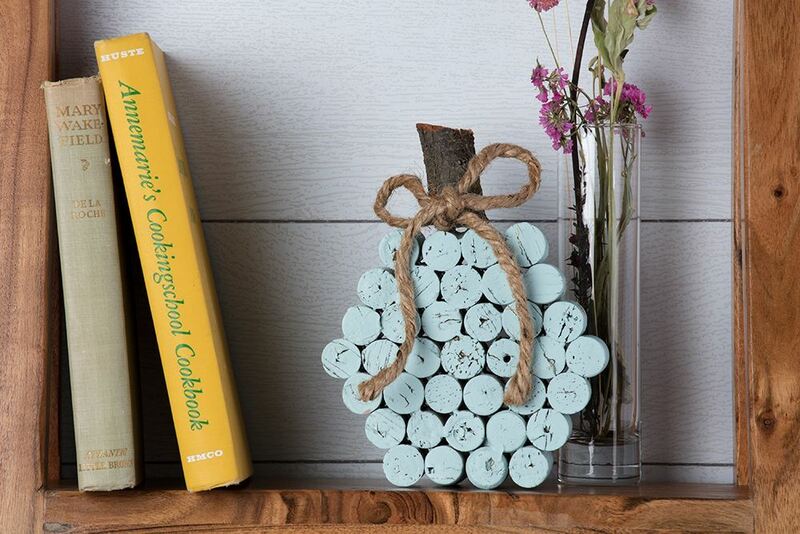 Use glue to add a small tree branch piece as a stem and twine to finish the look. You will need about 37 corks. There are seven rows total. Use the Turbo Tacky Glue to adhere two rows of 4, two rows of 5, two rows of 6 and one row of 7. Let dry. Glue rows 4, 5, 6, and 7 together, then glue the reverse order to 7, 6, 5, and 4. Let dry. 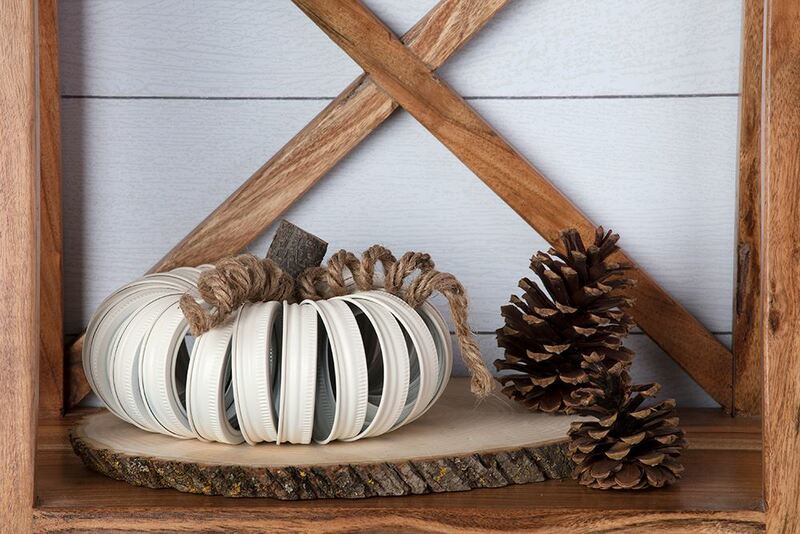 Once dry paint and finish the pumpkin by adding a small tree branch as a stem and twine to finish the look.